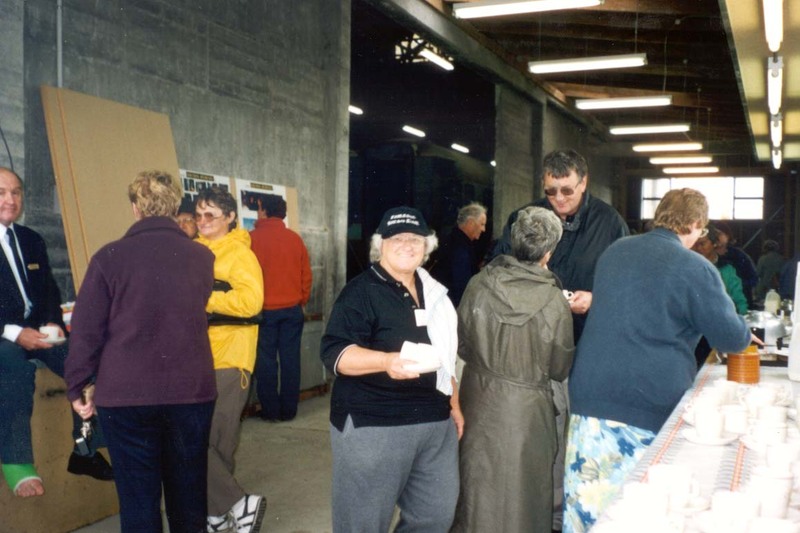 On Sunday the 9th of December 2001, we officially opened our new Railway Depot in Feilding. 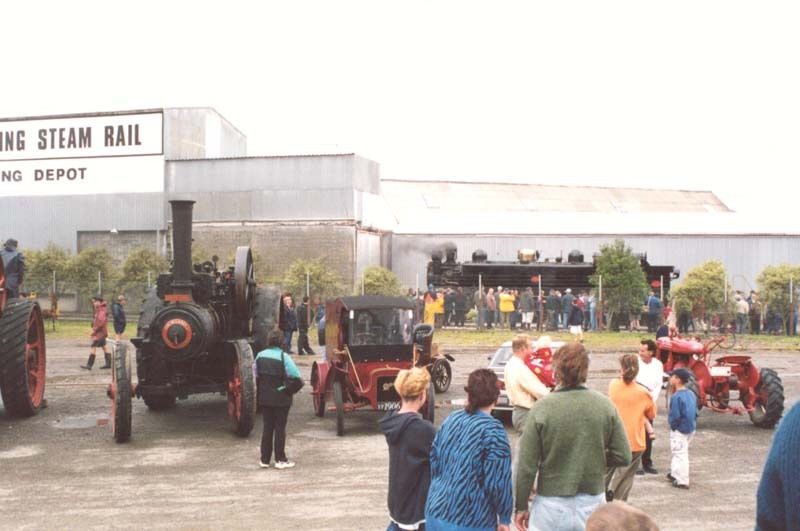 The Feilding rail yard was quite busy. 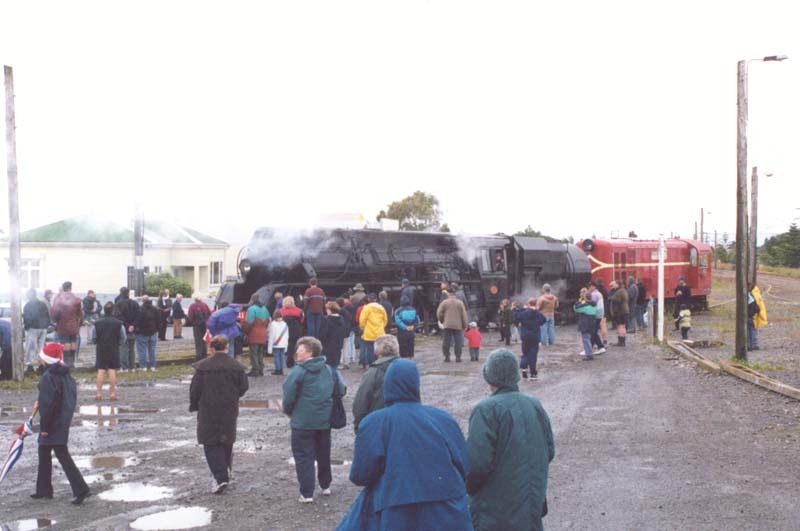 Lots of people came and looked around the Feilding Steam Rail Depot. J 1211 was a hit with the Feilding people and sure looked good. 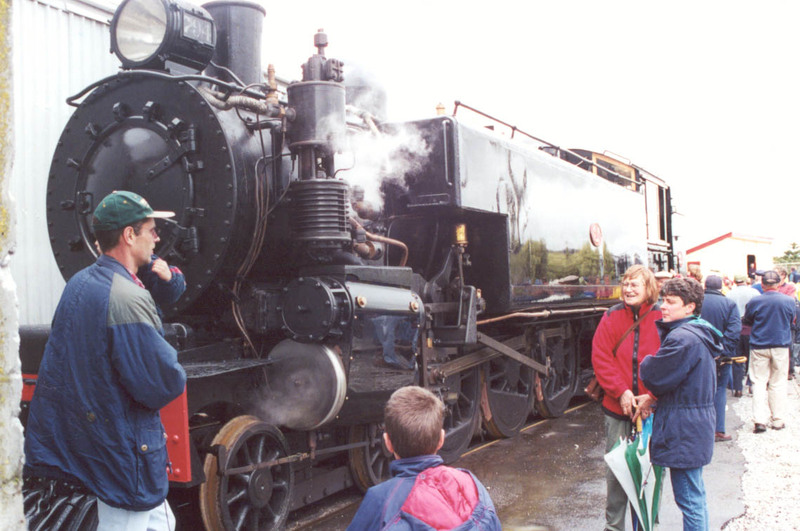 J1211 brought the excursion train over from Palmerston Nth with about 400 people on board. J 1211 brought the DE over for a look around the depot. 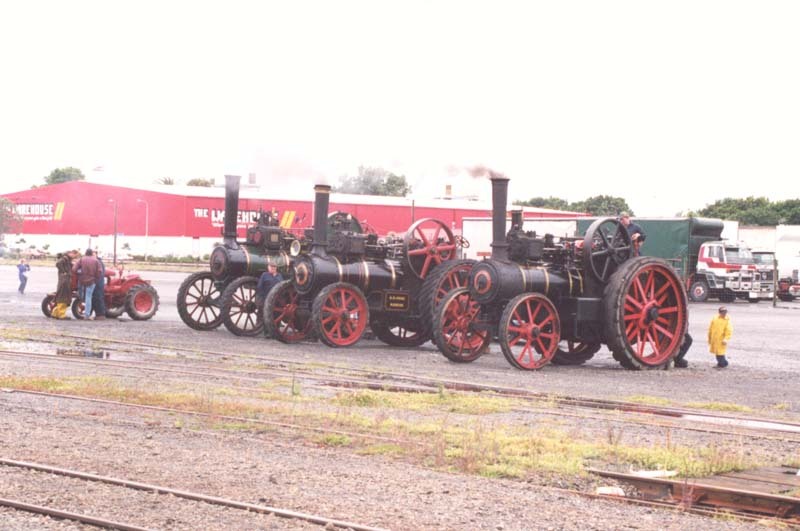 The Maewa Traction engines came along to help us celebrate the opening of the new depot. 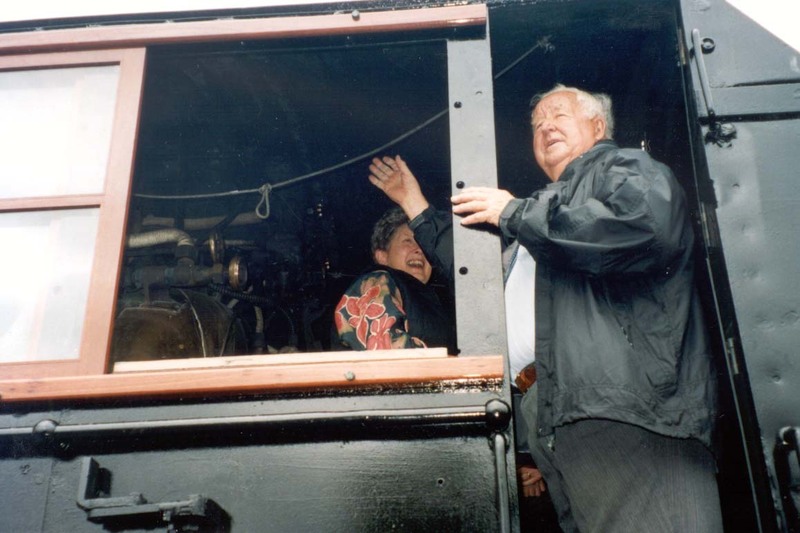 We had the Wab in steam for the opening and tooted the whistle many times. 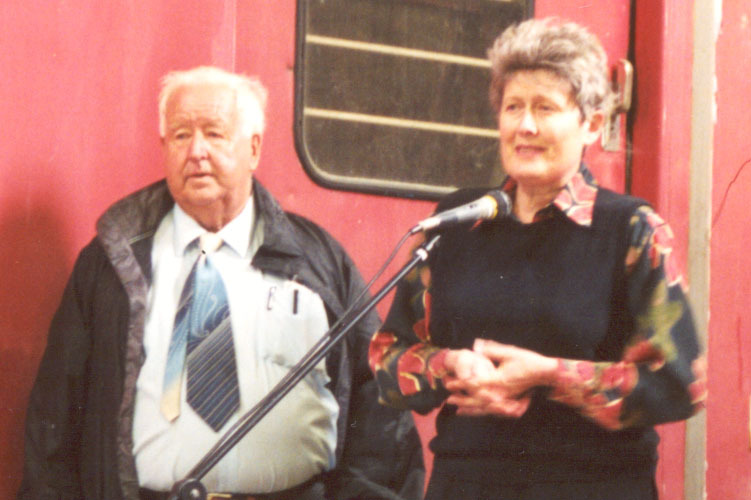 Russell Wiseman and Audrey Severinson (Feilding's Mayor) looking around the cab of the Wab. 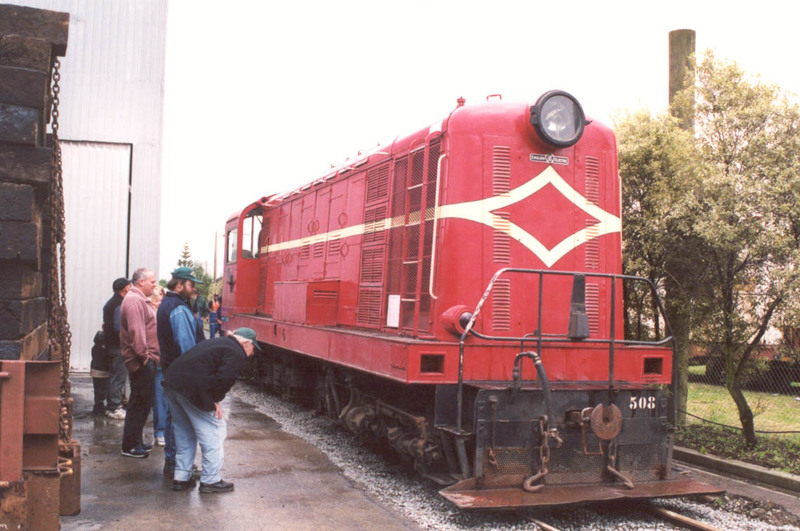 This is the historic Diesel Locomotive DE 508. This locomotive was used on the weekend for our Wine and Dine and preformed very well. Both young and old enjoyed the day, even if it was raining. We organised afternoon tea for the members and invited guests. 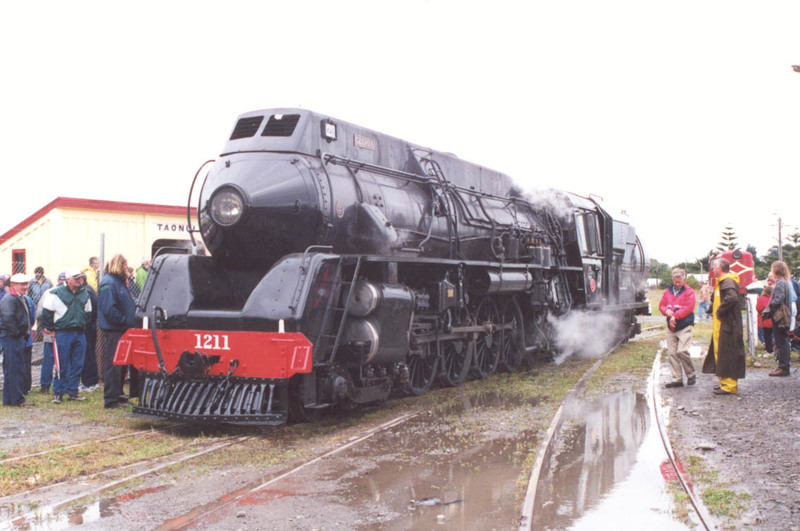 As the turntable was not quite ready J 1211 ran the excursion back to Palmerston Nth without turning. Here J 1211 is setting back onto the train. 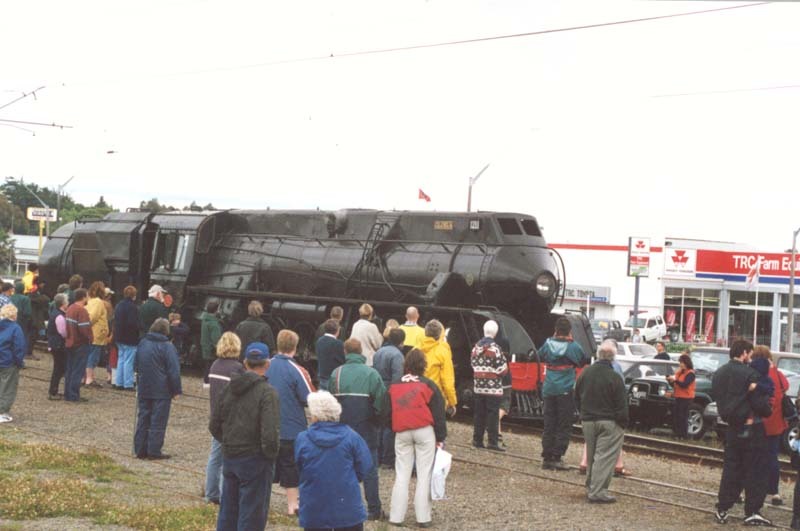 We had many vistors to the steam depot on this day. 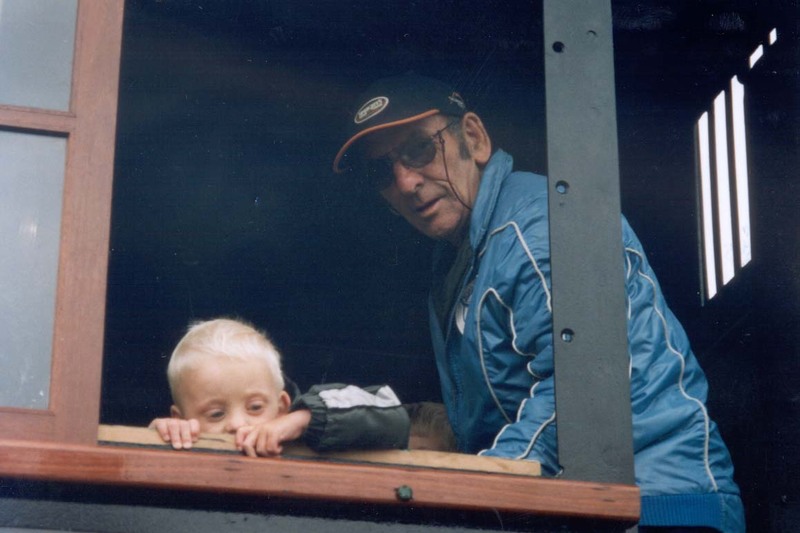 Look carefully and you may see some famous train people. 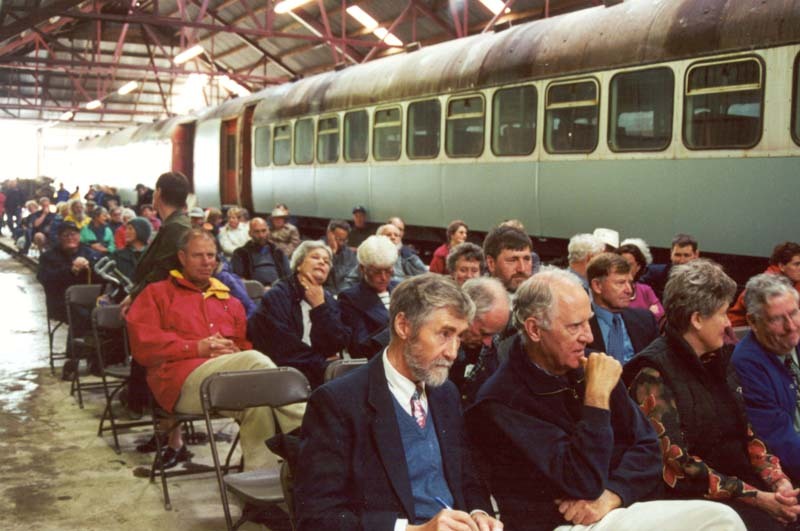 Below are the people that spoke at the official opening of the Feilding Steam Rail Depot. Rob Merrifield of the NZR&LS. 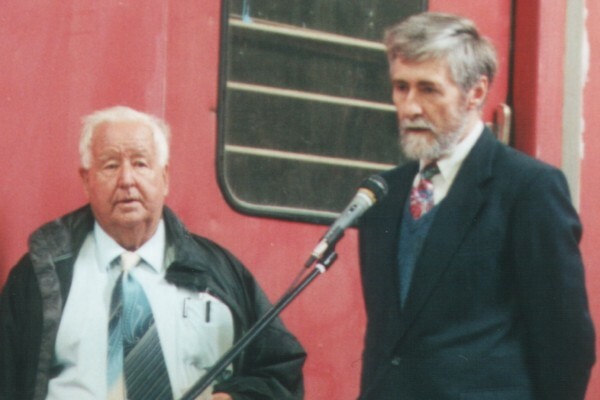 Euan McQueen from The Rail Heritage Trust.